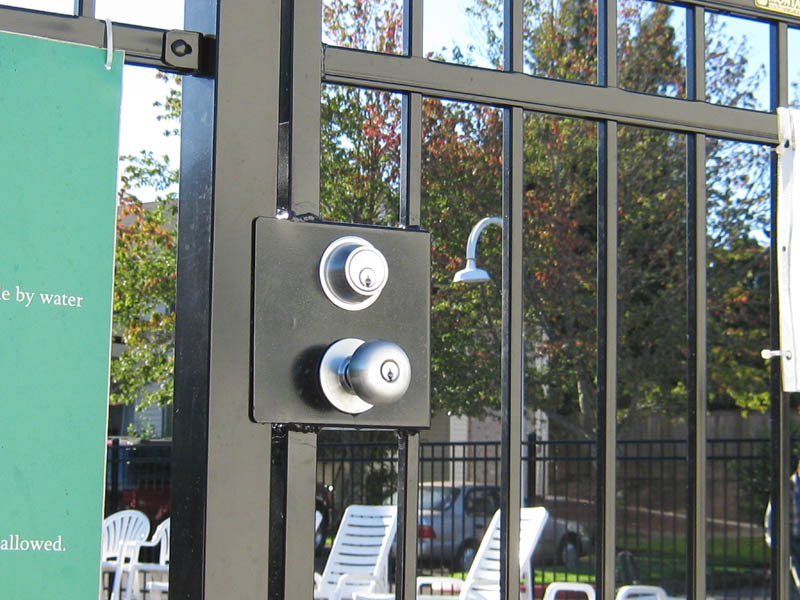 Fence Gate Locks | Pacific Fence & Wire Co. There are many reasons to have a fence installed at your home or property. Creating a safe place for children to play, preventing pets from running away, or just having a peaceful retreat away from the day-to-day grind. An attractive fence can also help the resale value of the home. How? By providing an extra measure of security. While the fence will keep the kids in, it also keeps potential thieves out and denies access to back doors or windows. But you still need to be able to come and go as you please – that’s where a gate comes into play. However, no gate is complete without proper access control. This is true for single family homes, multi-family homes, or businesses. 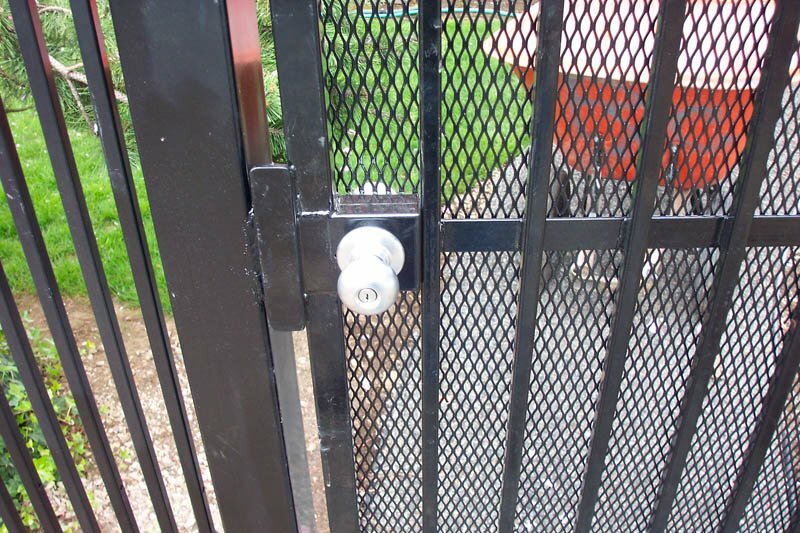 Pacific Fence and Wire offers a wide variety of custom and secure gate locks and will find one for your specific situation. We offer both installation as well as do-it-yourself kits. We offer a wide variety of gate style for the home, including wood, vinyl, ornamental, and custom. 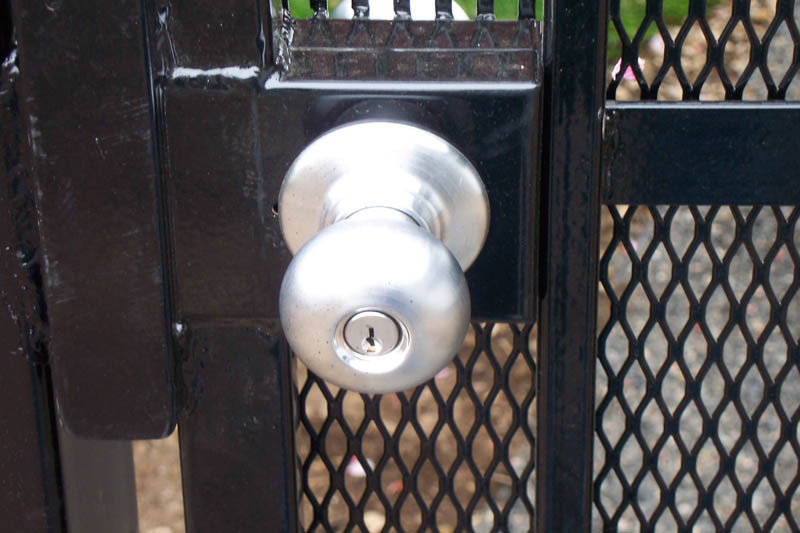 And whether it’s a side gate for access to the backyard or a large driveway gate, we have the locks to secure them. There are a few areas of concern when it comes to multi-family residences. For example, there could be a gate at the front of the building to make sure only residents have access to the building. 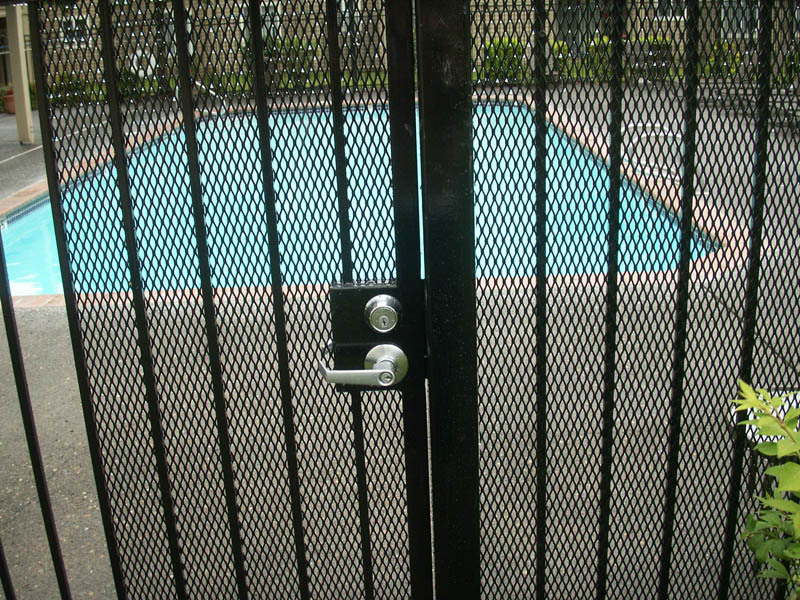 If your complex has a pool with outside entrances, insurance could mandate a locking mechanism on all exterior gates. Storage facilities, shopping courtyards, and even high school stadiums need to be able to let many people in and out while still providing a measure of security. In addition to designing and building gates for almost any commercial property, we also provide locks to limit that access during off hours. No matter your situation, Prairie Fence and Wire designs, builds, and install fences and locking gates to keep your property or facility safe and secure. We’ve been serving the Portland area for nearly a century, providing quality craftsmanship and attentive service. Call us today – we look forward to hearing from you.